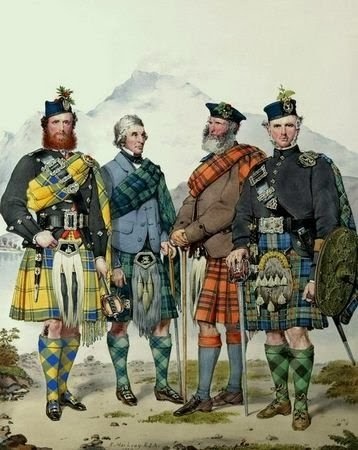 "Any self respecting Scot knows that a good tartan is the solution to everything: it tells you where you are, where you belong, who your friends and family are." Prince Charles, lumberjacks, hipsters, rockers, and the fashion world unite with their common love for plaid this winter. There are many reasons why the classic pattern is in high rotation on the revolving trend carousel. Some give all the credit to tartan-enthusiast Queen Victoria for bringing plaid to the masses. Not only did she don the traditional Scottish print herself in the 1800s, but she also draped the inside of Balmoral Castle in it. Fast forward to an article in The Washington Reporter on March 20, 1931, which advised that a plaid jacket was best paired with a plain skirt and that "women who have the manner to 'get away' with anything, however daring, will be seen in all plaid suits." Oh, how times have changed. Not only will head-to-toe plaid looks be worn this season, but also contrasting variations, as seen in Emilia Wickstead's collection. Others hopping on the bandwagon include Gucci, Dolce & Gabbana, Band of Outsiders, Marc by Marc Jacobs, and Vivienne Westwood. Punk and plaid have always gone hand-in-hand, so it makes sense that some designers have included edgier looks in their collections. Karl Lagerfeld embellished his punk-inspired plaid with studs and leather. 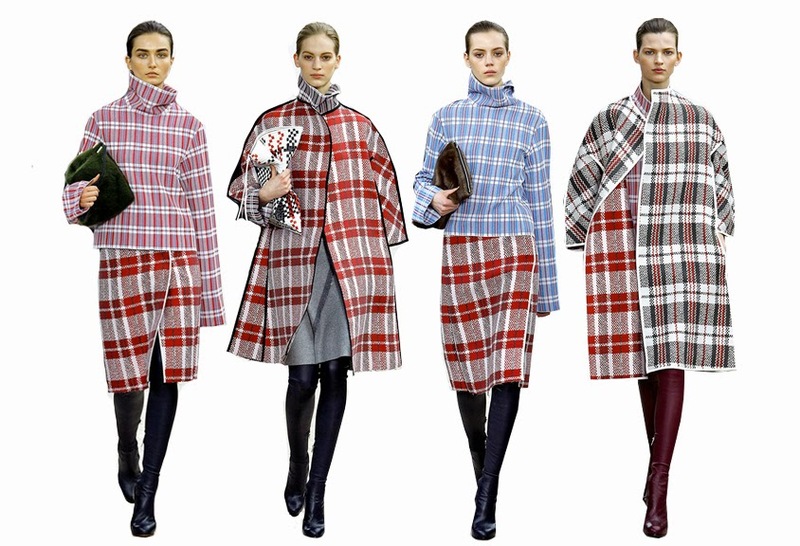 Whether you're shopping for a wool coat, a dress, wrapping paper, shoes, or an umbrella, you'll be sure to find everything your heart desires adorned with plaid. Recently, I stepped inside a local fabric shop with one thing on my mind: plaid flannel. After rummaging the racks for a few minutes, I found a black and gray print perfect for making my husband a button down shirt. If you've ever tackled a shirt like this with no pattern, you'll understand when I say that constructing it was no walk in the park. Aside from never doing menswear before, I also had never done a buttonhole. Just my luck then that the shirt needed 14. The buttonholes were a cinch (thanks, Brother sewing machine pre-set), but the "chimney plackets" near the cuffs of the sleeves were anything but. With the leftover fabric, I designed a dress for myself. I was deliberate in my plaid placement to create an eye-catching pattern and sewed pockets into the side seams. And no, you won't be seeing us out and about in matching "his and hers" outfits.